It only took a split-second for the mainstream media and social media nutjobs to turn the Cincinnati Zoo gorilla shooting into a Black Lives Matter White Privilege political statement. Keeping racism alive! 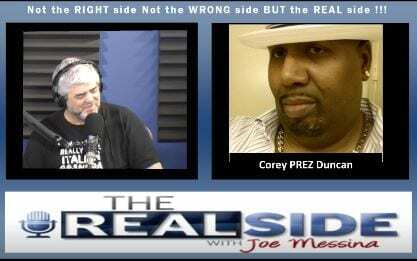 Mad black man from Baltimore, Corey Prez Duncan tells Donald Trump not to take the bait and to focus on issues. Trump needs to learn how to deal with the press. It’s a setup. What happened to this country where people just won’t stand up for what they believe, and when a man does, he’s considered out of control? It wasn’t just white people who slaves. Black people had black slaves too. Liberals use the term “white privilege” to scare young people into silent submission to liberal logic. Freddie Gray police officer trials are now postponed until after the fall. I wonder why that’s happening? And the 2 black officers are suing the state’s attorney, Marilyn Mosby. There are already 103 murders to-date in Baltimore. They are shooting each other in broad daylight, and school isn’t out yet and it isn’t even hot out yet. WAIT until the summer!